Every year tens of thousands of people walk up the steps made famous in the series of Rocky movies—the steps of the Philadelphia Museum of Art. As they walk through that museum, they have an opportunity to view a special jewelry collection. The fashionably modern and artfully practical pieces in that collection were created by the skilled hands that created all of the C. Linea jewelry. Some of those who stare at the geometric shapes in the C. Linea jewelry might wonder, “Who is this C. Linea?” Others who take the time to study the blended colors in the same jewelry could well ask themselves, “How can one learn more about this C. Linea?” The fact is that there is no biographical material about someone who goes by the name C, Linea. 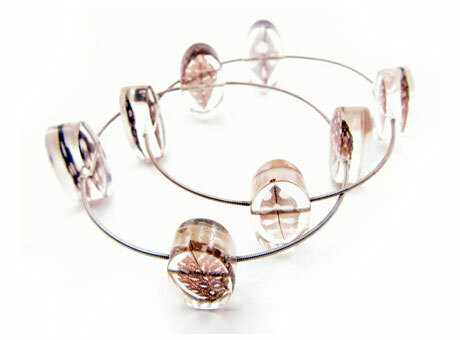 All of the C. Linea jewelry was created by Cara Tilker. Early in her career, Ms. Tilker realized that her jewelry had distinctive lines. She thus decided to include mention of that characteristic in the name for her jewelry. The word “linea” is Italian for line. Cara Tilker selected the name “C. Linea” for the many varied shapes in her ever-expanding line of jewelry. In the mind of Cara Tilker, there is no limit to the number of different shapes that might be given to a piece of jewelry. 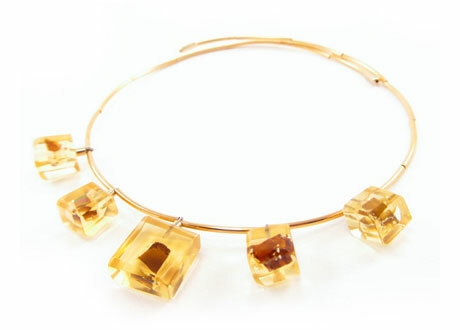 Ms. Tilker thus chooses to work with jewelry-making materials that allow her to create an array of different shapes. She works with polyester resin and acrylic plastics. Ms. Tilker likes the flexibility that she gains by working with plastics. She has said, “There are simply no restrictions to what I can create.” The many different shapes in the C. Linea jewelry are decorated with silicone molds. Those molds contain materials such as colored glass, feathers and porcelain. One time Ms. Tilker created a line of C. Linea jewelry in which each piece contained fragments of an old building. All of those fragments had come from the Fallingwater House, a house that was designed by Frank Lloyd Wright. Having grown-up in New Jersey, Cara Tilker had had many chances to admire the architectural skill of Frank Lloyd Wright. Other pieces of C. Linea jewelry have been decorated with elements of nature. Such pieces of jewelry can be found in the line of C. Linea jewelry that was designed for the Western Pennsylvania Conservancy. Other pieces of C. Linea jewelry contain items of a more whimsical nature. Those pieces of jewelry have been worn by members of the team that is part of Cirque de Soleil. How did a young girl from New Jersey develop the ability to design jewelry for such a diverse group of people? Cara Tilker studied interior design at Syracuse University. By examining the interiors of multiple rooms, Ms. Tilker came to appreciate just how many different shapes can be molded from plastic. 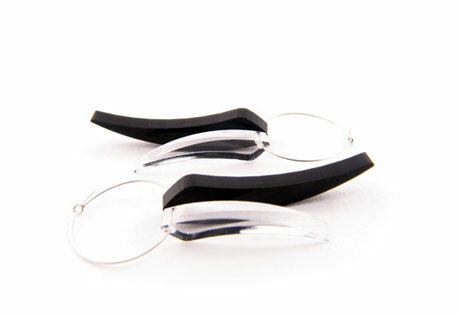 Having gained that appreciation, she began to style jewelry using plastic. Her diligent and skillful efforts led to the creation of C. Linea jewelry.